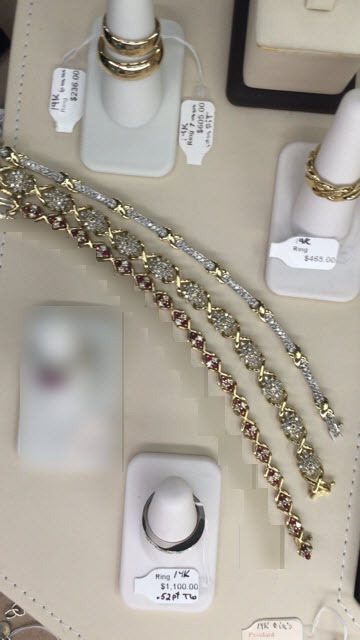 LAKE OSWEGO – On Sunday, October 11, 2015, between 2:50 p.m. and 3:00 p.m., four suspects stole more than $50,000 worth of jewelry from New to You & Simply Posh, located at 101 A Avenue in Lake Oswego. 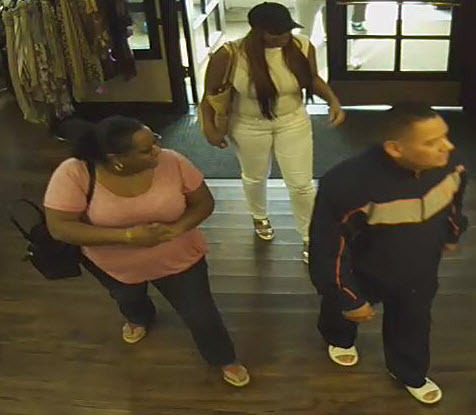 At about 2:50 p.m., during store hours, three suspects entered the store seemingly to shop. They began engaging employees in conversation and asking for assistance with getting things down from shelves to look at them. 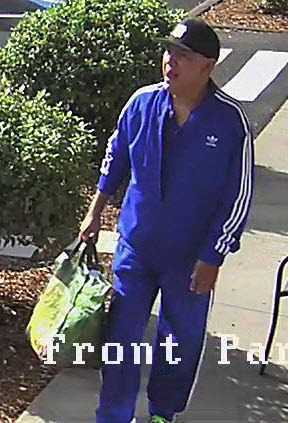 Meanwhile, another suspect entered the store and walked to the opposite side by the high-end items. 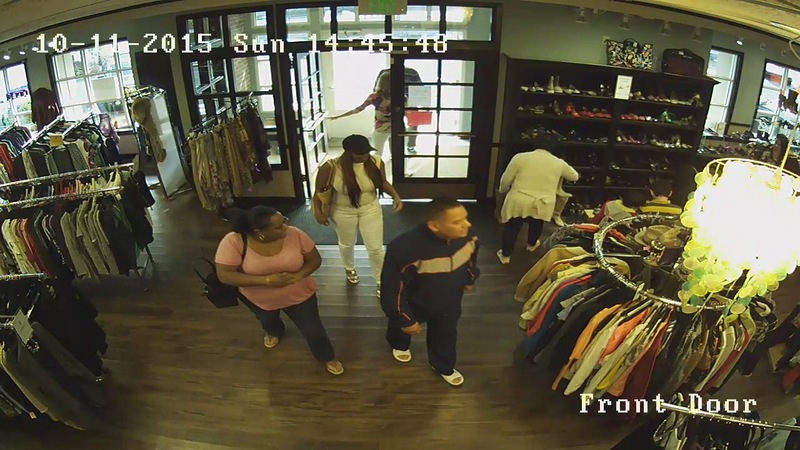 Once the initial three suspects had all of the employees fully engaged with them, one of them signaled the fourth suspect at the opposite end of the store. 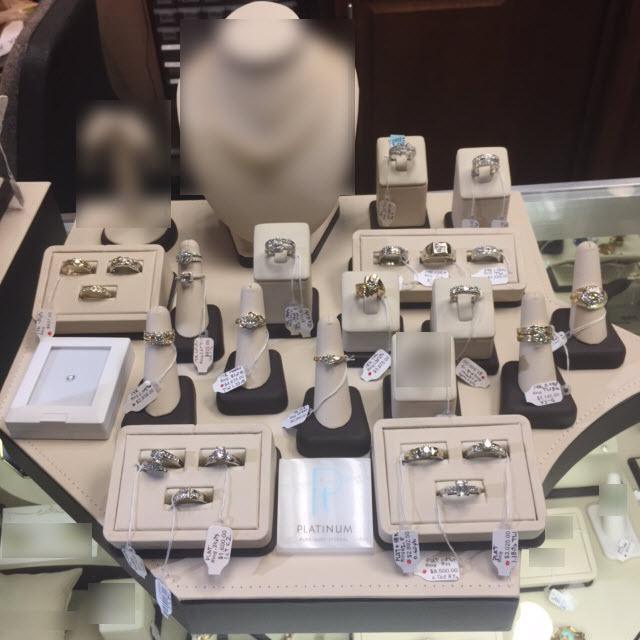 At that point, the fourth suspect used a tool to lift the glass top of a display case and took more than 40 pieces of jewelry, placed them in a bag, and left the store. 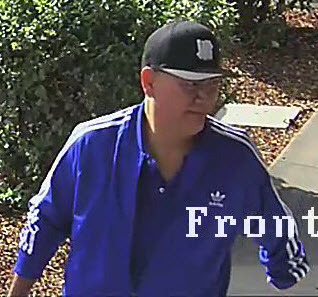 Shortly thereafter, the first three suspects also left the store and walked off in a different direction. It appears that this theft was committed by a professional crew of suspects that have likely committed similar thefts in other areas. Photos of the suspects and stolen items can be found on our website at www.ci.oswego.or.us/police and our Twitter feed at www.twitter.com/LOPolice. Anyone with information about the identity of the suspects or the location of the stolen items should contact Officer Bryan McMahon at 503-635-0238. 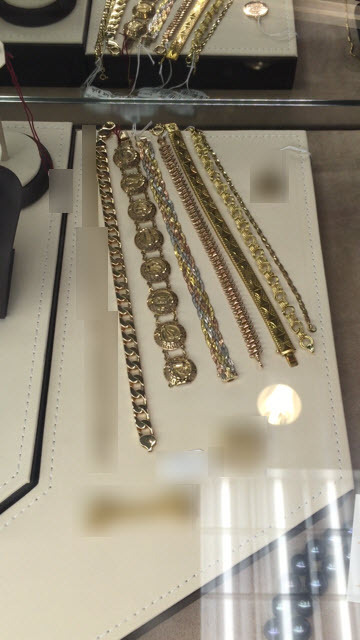 Suspect steals jewelry out of case.